Do you struggle to eat healthy when you’re up against a strong emotion, good or bad? Learn how to combat emotional eating in 7 easy steps. Get exciting news? Celebratory dinner! Feeling sad? Ben & Jerry have your back! Feeling disappointed? Might as well throw in the towel on your diet, as well. PMS? Don’t get me started. We all know that the best of intentions can be swiftly interrupted by emotions. It can feel like an incredible internal struggle to try and “stay the course” with healthy eating when you’re up against a strong emotion – good or bad! It’s not realistic to expect that life will be anything but emotional. Rather than continuing to let your emotions control your eating, try the following steps to work on combating just that. Surprised by this one? I’m not going to tell you to just stop doing it because I know it’s not that simple. So when you find yourself digging into the pantry for a treat and don’t know why, it’s ok. Indulge slowly and mindfully and really taste what you’re eating. Odds are, just this slower pace will result in you pulling yourself together a bit sooner than you would otherwise. Before you even attempt to make any changes to your reaction to emotions, try just recognizing what’s happening in your body. What are you feeling physically? How about emotionally? What are you thinking? Stay present in the moment and allow yourself to feel whatever it is you’re feeling. 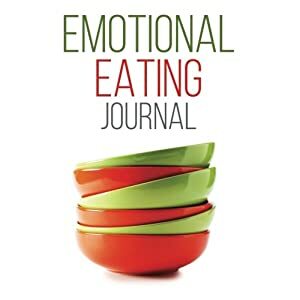 Emotional Eating Journal For a few days, keep a journal that documents the questions above in addition to when you eat and what you’re eating. This is just a data collection exercise to see if you can start making some connections between what you’re feeling and what you’re eating. Now that you’ve collected some data, it’s time to analyze it and see what you can learn from it. Here you’re looking for connections between emotions and food. Once you’ve picked up on a pattern between food & feelings, it’s time to test some ways to break the cycle. For example, if you’ve noticed that the nights that you eat too many snacks after dinner are also the days that you’ve had a really stressful day at work, brainstorm a few ways that you can try to disconnect the two things. Could you do something to relax & unwind as soon as you get home from work to help get those emotions out? Would getting out of the house help? Maybe a phone call to a friend on the drive home would be a good emotional outlet? This will likely take some trial and error so just pick an approach that feels good to you and test it out. Emotional eating patterns don’t happen overnight so don’t expect to break them overnight, either. Try not to get down on yourself if it takes some time to see positive changes. Remember that you are human and no one is without flaws. Rather than striving for perfection and feeling like a failure for falling short, just try to make each day just a little better than the previous. In moments of weakness, treat yourself like you would a best friend – with love and compassion. Lean more about how to be kind to yourself. She works with women to help them become healthier, happier, and more confident by making small and sustainable changes to their day-to-day lives. She encourages clients to start where they are and do what they can with what they have. You can find out more about her at www.estheravant.com, on Facebook at and on Instagram. The Best Puffy Eye Serum Made With Essential Oils!